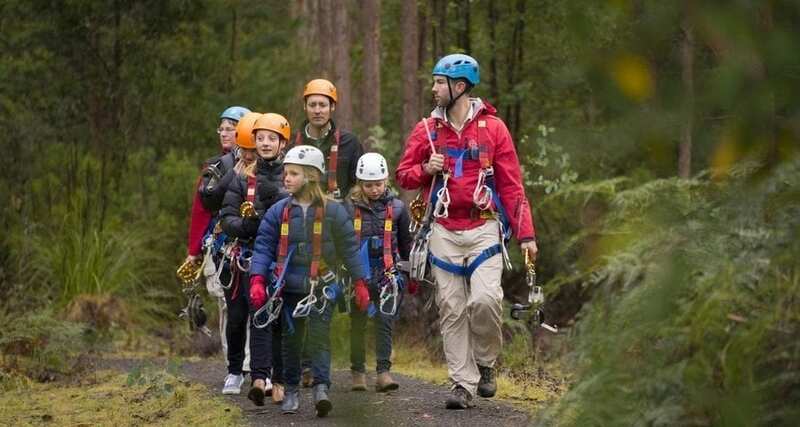 Hollybank Treetops Adventure is a tourism joint venture between Australian Canopy Tours and Forestry Tasmania. Visitors glide across the treetops in this unique forest canopy tour, gaining a bird's-eye view of Tasmania's beautiful forests. The sky’s the limit when it comes to experiencing the thrills of Australia’s treetop adventures as a family. Ziplines, flying-foxes, suspension bridges, high ropes and aerial walkways – get the adrenaline pumping and treat yourselves to a bird’s eye view of the forest canopy with these top four picks. Grab enclosed shoes and comfy clothes, bring an adult to supervise, listen up to onsite training and you’re set. If you can brave the vertigo, you’ll be on cloud nine! Choose the Central Coast, Newcastle, Western Sydney or the Hills to be the backdrop of your climb, duck and fly at TreeTop Adventure Parks. 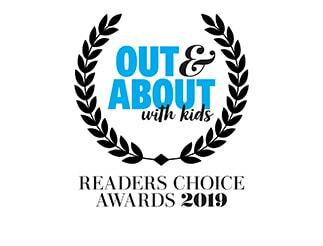 With a variety of colour-coded courses to choose from, this experience suits all ages and can be enjoyed by kids as young as 3. On her blog Have Wheelchair Will Travel, Julie Jones provides a complete guide to Treetops for families with a wheelchair user. Adult supervision of kids 15 years and under is necessary, and you should be aware of height and weight restrictions before you get started. Navigate over 100 obstacles 20 metres in the air, take a guided Treetop Safari, or shoot down the world’s longest rollercoaster zipline for a day of unforgettable family fun. 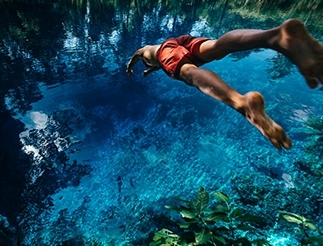 Also nestled in New South Wales, in the Southern Highlands, the Illawarra Fly caters for the thrill-seekers and those who would prefer to relax amid a jungle canopy. You can opt for the Illawarra Fly Treetop Walk, a low-grade, 1500 metre walk through temperate rainforest. Noteworthy features include the multi-level canopy experience, Knights Tower lookout and awesome views as far as the Tasman Sea. You can also choose the Zipline Tour which will shoot you from platform to platform more than 30 metres above the ground. Included in the experience are suspension bridges, three flights, training from expert guides and info about the local ecosystems and history. At this awesome park in Launceston, you can even take an all-weather zipline tour at dusk! 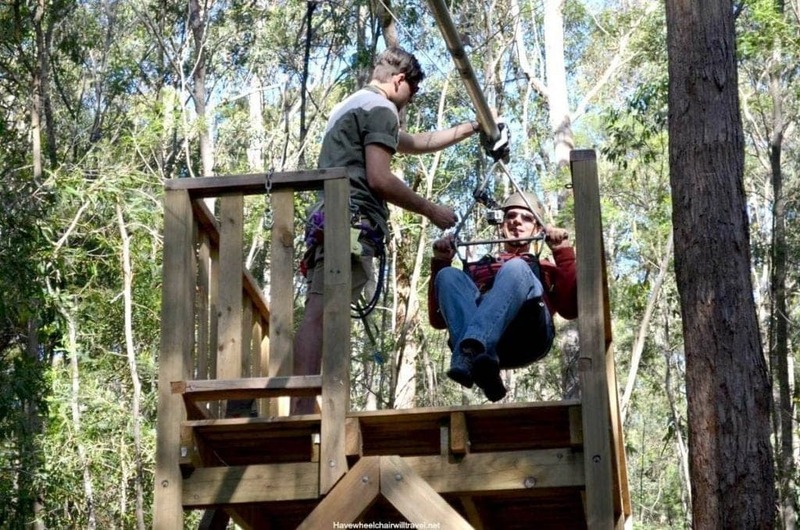 As the sun sets, teenagers over 12 can get their adrenalin fix by moonlight at Hollybank Treetops Adventure. Or simply go for their 3-hour tour by day, which is by no means second best. The Tahune Airwalk is another sky-borne Tasmanian gem where you can glide over the Huon River in the Cable Eagle Hang Glider, or airwalk your way to a cantilever 50 metres above the forest floor. 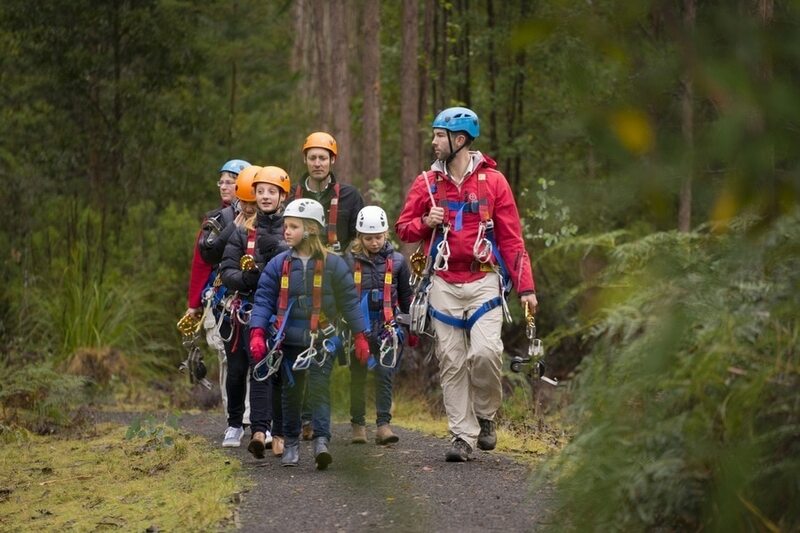 Hollybank Treetops Adventure is a tourism joint venture between Australian Canopy Tours and Forestry Tasmania. The appropriately named Otway Fly will have you soaring across the Otway Ranges from ‘cloud station’ to ‘cloud station’ with an expert guide. Children must be 5 years and over, and at least 125cm tall. If you don’t have a need for speed and prefer your thrills to come in smaller doses, try the Treetop Walk instead. With 600 metres of elevated walkways, a cantilever and the 45m Spiral Tower, this option is equally as impressive. Queensland boasts some pretty amazing rainforests and is treetop heaven for any zipline enthusiasts. Our pick from the Sunshine State is the Cairns Zoom and Wildlife Dome, which will have you suspended over the enclosure of Goliath, the resident croc! Pick a level that suits you with Hi-Zoom or Mid-Zoom options, or try something different like slack-lining, Commando Rope Climb or the Dome Climb which offers awesome panoramic view of Cairns. 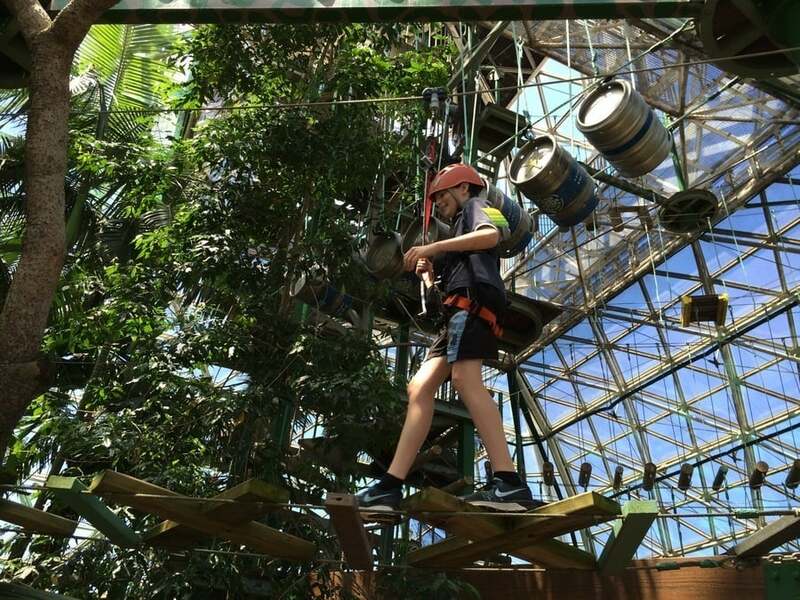 Reach the skies on this jungle ropes course - indoors! If you’re still hungry for more, try Jungle Surfing at the rainforest paradise of Cape Tribulation, or a peaceful skywalk in Mamu Rainforest for two unique perspectives of Australia’s Tropical North.